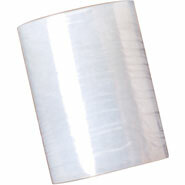 Our 55ga 30" x 8000' Light Duty Stretch Wrap retains its grip and is self-adhesive. The Light Duty replaces 70-80 gauge stretch film and has less elasticity than true gauge stretch film, which creates a tighter wrap. 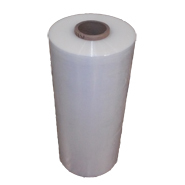 Our 30" x 8000' x 55 Ga Light Duty Machine Stretch Film easy to use roll increases efficiency, and the clear cast film enables easy identification during shipping.